Things I thought I’d never do: Drive miles and miles of old logging roads for no particularly good reason at all. Well, I suppose “no particularly good reason at all” isn’t a fair description. It depends on who you ask. 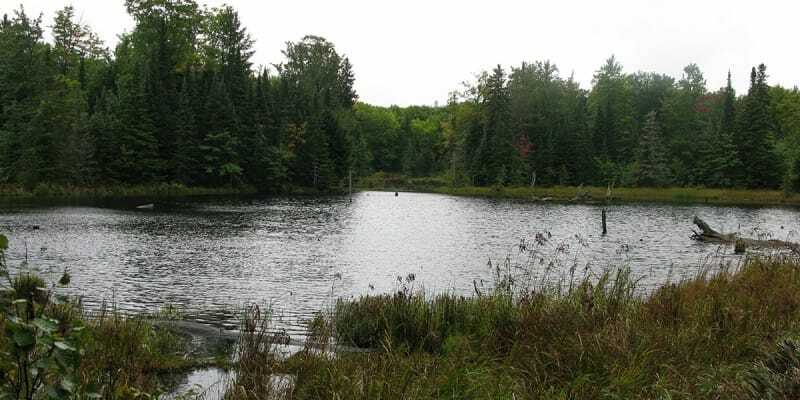 As I mentioned in my last post that took a close look at highpointing, some people do feel like there is a good reason to do this – especially in the Upper Peninsula (U.P.) of Michigan where Mount Arvon sits. Members of this highpointers group feel that this is a very worthwhile endeavor. And apparently I am one of those people. 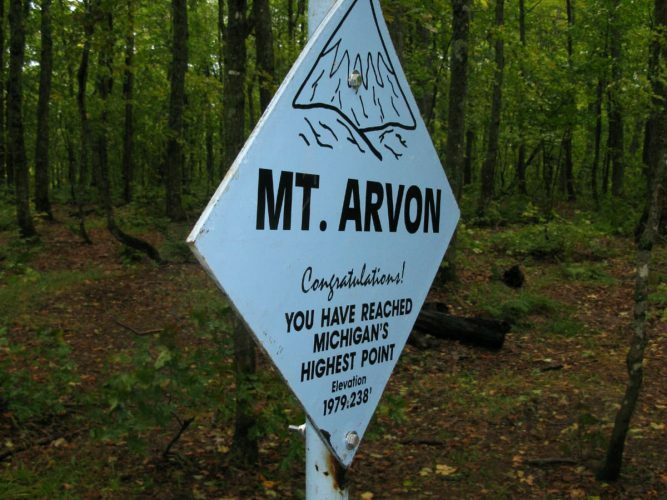 Mount Arvon can be found in the northern part of the U.P. of Michigan. 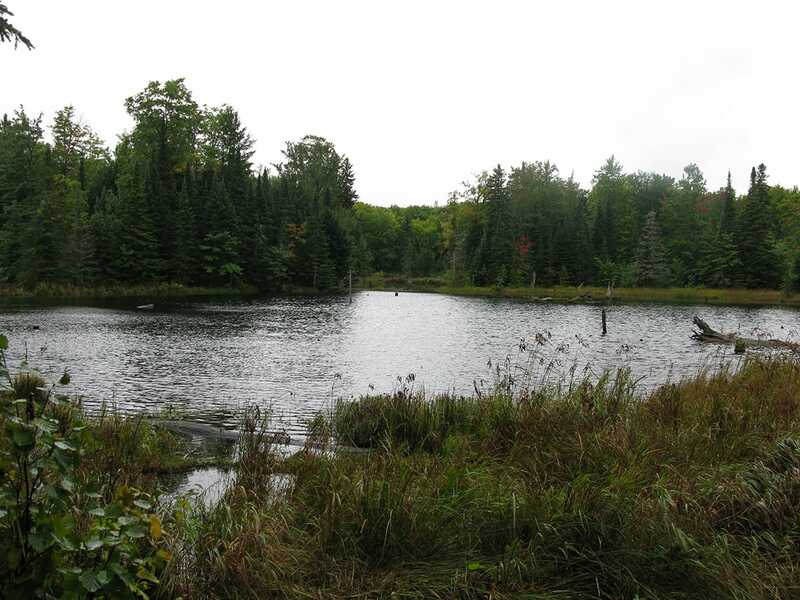 It is part of the Huron Mountains and sits only about 10 miles from Lake Superior. In order to reach this summit of this mountain, which trumps nearby peak Mount Curwood by less than a foot, one must drive up a series of old logging loads to reach a trailhead of sorts that must be traveled by foot to in order to reach the summit. Simply put, these roads were who we thought they were. They were who we thought they were! They’re old logging roads. That is, the roads were old, mostly unmaintained, mostly uncared for, mostly unused logging roads. Some were in decent shape, others not so much. This series of narrow, uneven pathways offer little guidance. In at least one instance I found myself reaching a fork in the road and then proceeding whichever direction looked less overgrown. 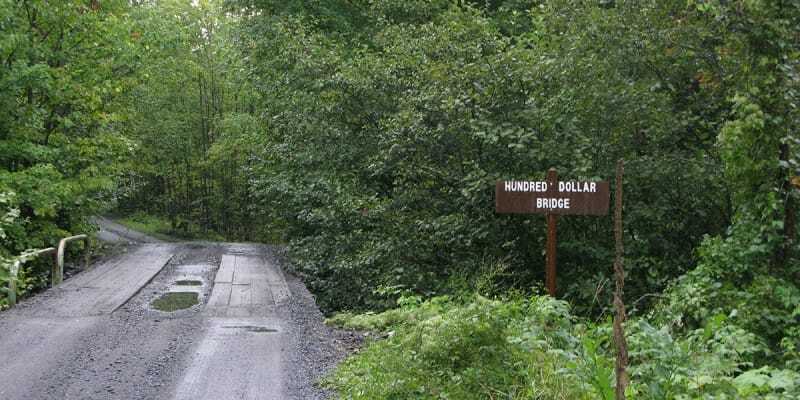 Once you have conquered the eight-mile stretch of winding logging roads, the true highpoint can be found about a half-mile walk from the makeshift parking lot you’ll see on your left. The trail you take to the summit used to be a road itself but probably should not be driven – at least not in the condition I saw it. 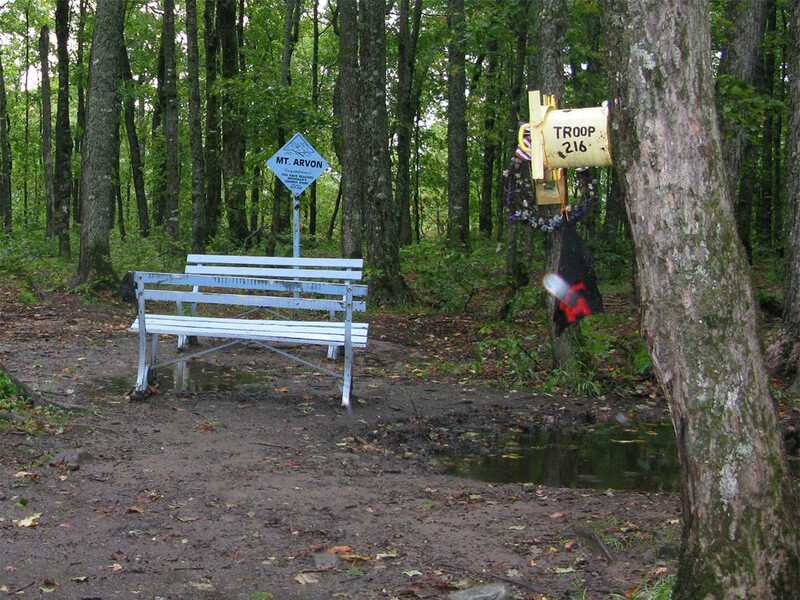 The highpoint area has a couple of benches, a sign and a mailbox. There aren’t any views of note from the summit as it is fairly wooded, but sit back and enjoy your conquest before heading back down the logging roads! 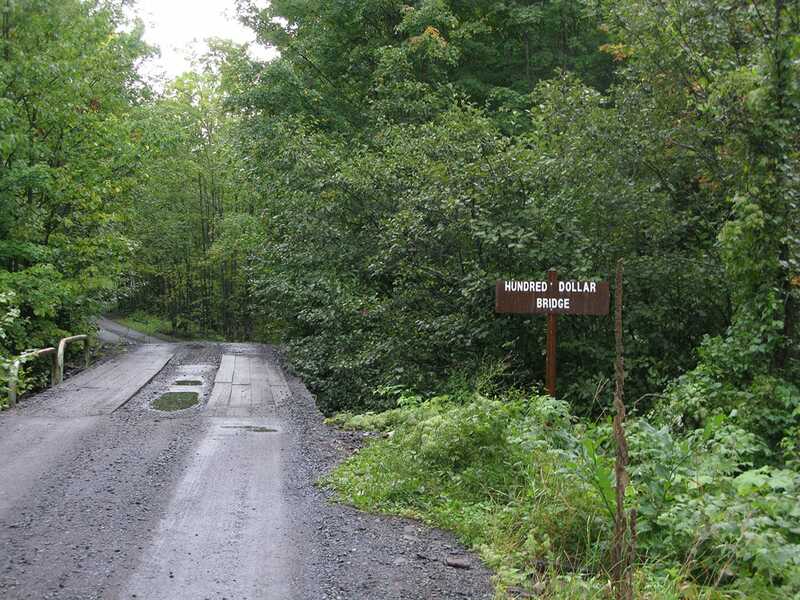 Tip: Pay close attention to the blue signs leading the way up the old roads. These helped out quite and some of them seemed like recent additions to help highpointers find the way. Start in the town of L’Anse, MI. Head north into L’Anse on Broad Street to Main Street. Turn right on Main St. (turns into Skanee Road), and continue 16.1 miles to Roland Lake Road. Turn right on Roland Lake Road. After about 3 miles to Ravine River Road. Follow the blue signs up more than 7 miles to the summit. 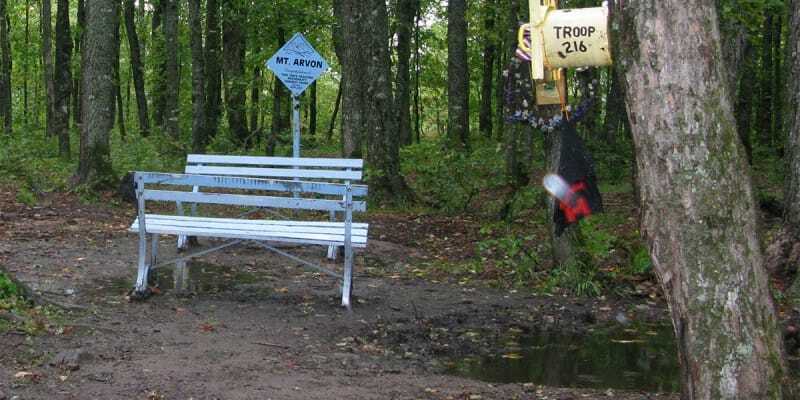 For detailed instructions from this point, see Mount Arvon article on SummitPost. Once you reach the top of this eight-mile stretch of meandering forest roads, head up the trail a half-mile to the summit. Elevation change (estimate): 150 ft.
Will a normal rental car can get up the logging roads? Or should I get 4WD? I had my 4WD when I drove up there. I remember being glad that I had it a few times, but I don’t remember feeling that it was absolutely necessary. The old logging roads are rough but not the worst I’ve been on. Thanks for the insight, Matt. I’ll let you know how it goes. No problem! How many HPs are you up to now?